Can you pick a lock? Can you pick both modern and antique locks? When you hear the phrase “lock pick” do you automatically assume the negative? Picking locks has been a skill practiced for countless years. Having this skill can be a good thing when used for the right reasons. Older locks are less difficult to big than locks today. Technology has increased the security of locks over time. However, picking older locks is still a great skill to be able to do if the time ever arises. 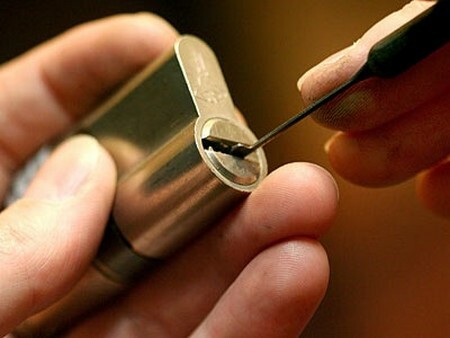 You can practice to ensure you are able to pick a lock without damaging it. The lock should still be able to be used in the normal way even after you have picked it open. Here is how to pick old locks. Read on for more information. Look at your antique lock and the specific kind of keyhole it has. Try to match the keyhole to one of your picking tools. It is common for old locks that they have warded style mechanisms. A warded pick would be the solution to these types. Remember not to damage the lock by using the wrong approach. Some locks will not withstand impression. Decide which tools should be tried first. If you are at a loss, the hair pins are always a nice start point. Insert the hair pin. Maneuver the hair pin around in the inside to try and locate the inner pins of the lock. If there is no clicking sound, then the bobby pin is not a heavy enough tool. You need to find a different tool. Opt for picking tools that are longest and thin. Darning needles might help better than other tools. When you put the tool inside the lock, ensure that the tool is situated beneath the bottom on the hole. This simulates a real key. Use the hook pick. Position it on top of the lock bar. Feel around the inside of the lock until you notice resistance of the pins of the lock. This lock pins should be moved up into the hole. Now, the idea is to imitate the motion of a key inside the lock. Do this my moving both of your picks at the same time. Move the bottom lock bar while you are also pushing the pins against the keyhole. Repeat until an audible clicking is heard. These are the pins in the release. The lock has been picked.